Today was day 2 of an amazing journey as part of the new cohort learning about documenting4learning with Silvia Rosenthal Tolisano. I am learning to push myself deeper out of the comfort zone and take more risks in order to increase my media literacy… and I have a long way to go! 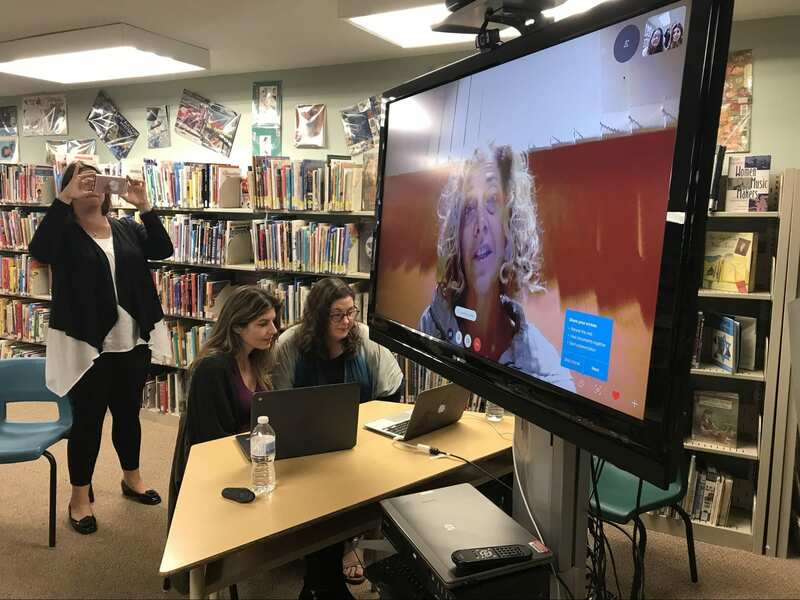 Our session culminated with a Skype call to Australia where we were fortunate to meet Jocelyn Blumgart. Each member of the cohort chose a role according to Alan November’s Digital Learning Farm. 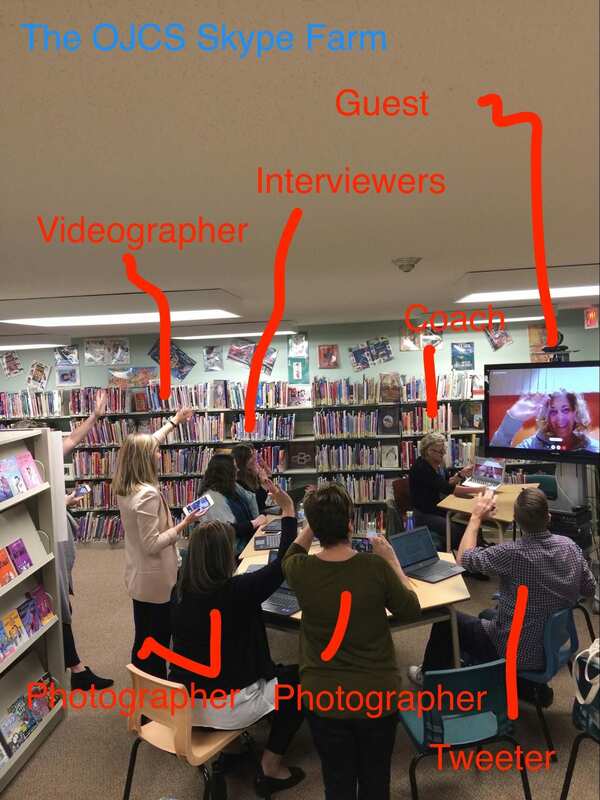 We practiced being: interviewers (in the hot seat), photographers, tweeters, videographers, and even backchannelers, testing out each of these roles and imagining future scenarios where we could task these role to our students. As a speaker in the hot seat, my challenge was to understand and master the taxonomy of a Skype conversation…be natural, listen, ask and respond to open ended questions, and maintain a free-flowing conversation. Aside from my initial nervousness, I found it somewhat difficult to balance my concentration between taking turns asking questions with Keren, my hot seat partner, listening deeply to Jocelyn, and thinking ahead to which question to ask next, while tuning out my fellow cohort members in the periphery. During a short reflection after the Skype, feedback from my group was positive. They said that they could hear my voice relax and become more natural as the conversation progressed. I also appreciated their help in adding information to our shared document during the conversation. It is obvious that as with most things, practice makes perfect, and I look forward to many more opportunities to connect with other colleagues around the world to hone these skills. Great reflection! 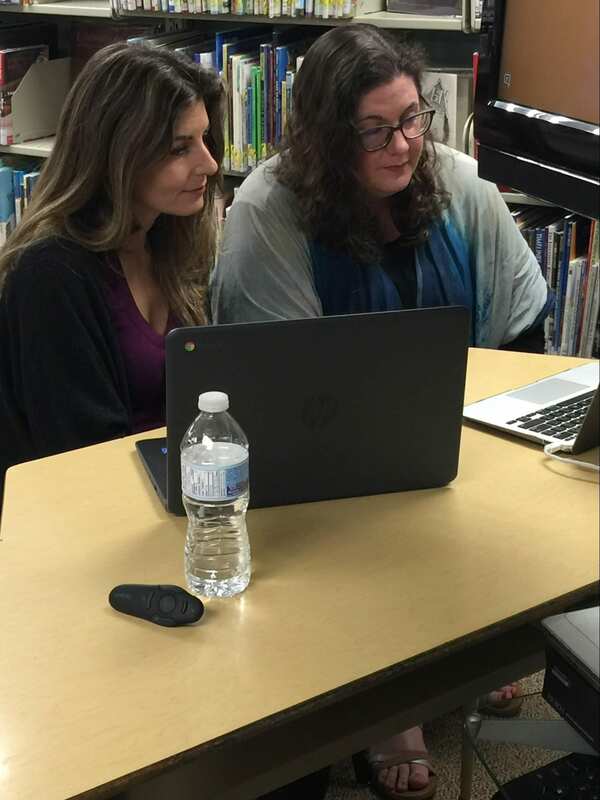 Can you imagine other “Skype-ortunities” either for you or your students? Artists from around the world? Could you plan virtual tours of art museums to connect what they are doing with the larger world of art? Thank you! These are great suggestions.